and encouraging, and to keep our patients motivated and engaged throughout all aspects of their treatment. meet our doctors and team, and learn about your individualized treatment options! We look forward to meeting you! Dr. Milberg and Dr. Laura share a unique blend of training from two of the top internationally recognized orthodontic programs. Both of our Doctors are Diplomates of the American Board of Orthodontics (a distinction less than 30% of orthodontists hold), and Dr. Milberg is 1 of 4 orthodontists in all of San Diego County that is a member of the prestigious Edward H. Angle Society of Orthodontists. In contrast to many other orthodontists in San Diego and Coronado, CA, Milberg Orthodontics offers many noteworthy distinctions, such as a complimentary initial consultations and complete in-house records. Please learn more about our office philosophyand what makes us one of a kind below. Dr. Milberg is wonderful! I was referred here by another orthodontist who spoke very highly of her. Her staff is incredibly kind and professional and always made me feel so comfortable. I am absolutely thrilled with my teeth post-braces. I have nothing but a glowing recommendation for Dr. Milberg and her office! I love my new smile from the braces that were done by Dr. Milberg. My entire life I had a very narrow bite & a gummy smile, she was able to make me have the perfect smile which I thought I could never have! I could really tell she was very experienced and knew what she was doing. That made me feel at ease. The office is a great central location, and all the staff are so nice and friendly. I definitely would recommend this place to anyone, especially for own kids when the time comes! Dr. Milberg has made a great difference in our lives. She is very professional and treats everyone very well. Her staff is also very great in taking care of their patients with pleasant attitudes. We have been patients of Dr. Milberg for many years and the results of her work are amazing! We are now very proud to show off our beautiful teeth when we smile! We loved being the Presenting Partner for the 2017 Coronado School Foundation’s Telethon! 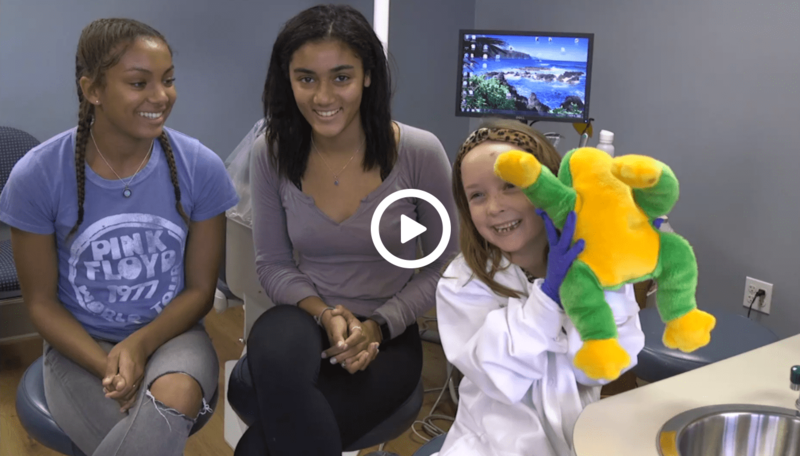 Check out our video featuring some of our talented and fun patients.